✚ Klicka här för att ladda ner den (free for private use only). gorgeous calendar, once again! I loved the ones from the past two years & this one is going to be up on my desk too. Thanks for sharing the love, Sara! Yaaaz waited for this calendar again this year. Thank you so much! Enjoyed looking at it whole 2016, and looking forward doing that again in 2017. Hope it’s okay, that I’m sharing it on my own blog – of course credited to you! Åh, vad kul! Tack :) ? Så fin kalender! Klart att jag ska ladda ner den! Tack! Thank you so much, yours are always my favorite. Tusen tack för att du varje år ger oss läsare denna fina julklapp! Tänkte bara på att mars saknar några dagar! Tack att du såg det. Tänkte bara säga att jag fixat en ny pdf nu med alla dagar i mars :) Tack igen! Så lite så :) tack! Hi, i happened to know about your printable calendar last year, via tumblr actually, someone shared your post, and i love it. So this year i think i wanna hang your calendar on my wall again (and thought maybe you’re still doing the calendar this year, i was right). Thanks God that i can find your blog here. All i wanna say is thank you, for making these amazing calendar. And thank you, for sharing. Merry Christmas and happy new year to you too :) Happy you like it! Pingback: 17 of the prettiest printable 2017 calendars, lots of them free! I love it but how do i download it ? Click on it and print from your browser. This is brilliant and amazing. Thank You for sharing. 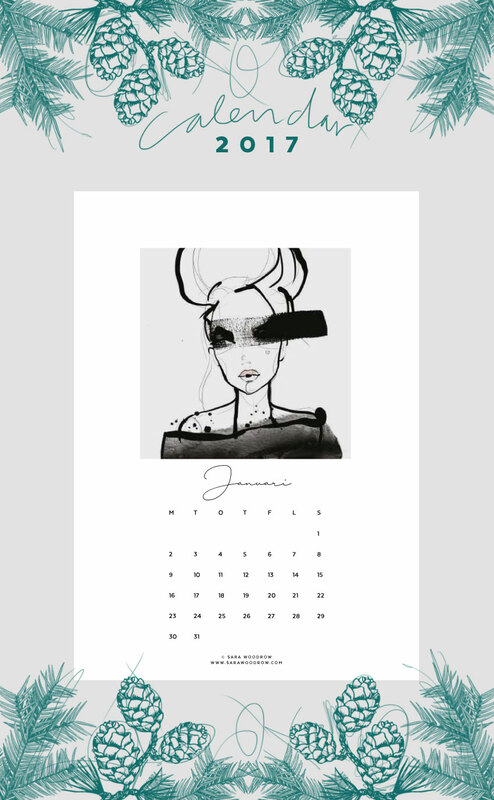 How can I print this calendar? ?????? Your calendar is so beautiful it makes my heart hurt in a good way. Thank you for making such a gorgeous calendar! Great calendar! I’ll print out May and use it! Thanks! This calendar is absolutely stunning! I can’t believe I just found it and it’s the end of the year! :( Will you make a new one for 2018?